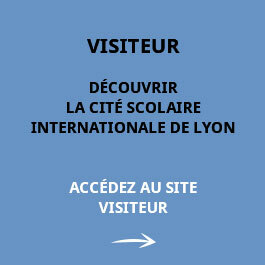 The Anglophone or English-speaking Section is part of the Cité Scolaire Internationale (CSI) in Lyon, a French state school with international sections. 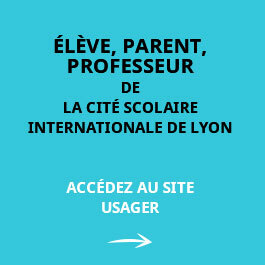 We offer children who are already fluent in English an education unique in the Lyon area: an English as a first language syllabus (native or near-native level), within the French state system. The Anglophone section is the largest section in the CSI, with over 500 pupils. We teach children from Primary through to High School. All section pupils get the best of both worlds: the rigour for which the French system is justly proud, combined with the encouragement for creativity and self-expression that is a feature of Anglophone educational practice. Anglophone section pupils leaving the CSI are well equipped to continue their education anywhere in the English-speaking world. They sit the Option Internationale du Baccalauréat (OIB), a bilingual diploma which is the French Baccalaureate with its additional component, the International Option. The OIB is an equivalent to a British A Level (British Option) or to Advanced Placement (American Option) and recognized by Anglophone universities worldwide. CSI students also sit the iGCSE (International General Certificate of Secondary Education) in English, as students in the UK. Although part of the French state system, the Anglophone Section is a fee-paying section, run by a non-profit making association, the Association des Parents d’Elèves de la Section Anglophone (APESA), governed by a parent board. The CSI is a state institution and cannot privately employ teachers. The Anglophone section is represented by the APESA Board, which employs the Head of Section, teachers and non-teaching staff. The Board is also responsible for all the other legal and organisational matters relating to the teachers and staff, as well as managing the budget and reporting back to parents.